The average home user may not be familiar with the name TP-Link. However for those of us in the geek world they are quickly gaining a reputation as one of the best names in networking. They have built a strong foundation of devices that work without issues. For readers of Geek News you know we've tested plenty of networking devices. 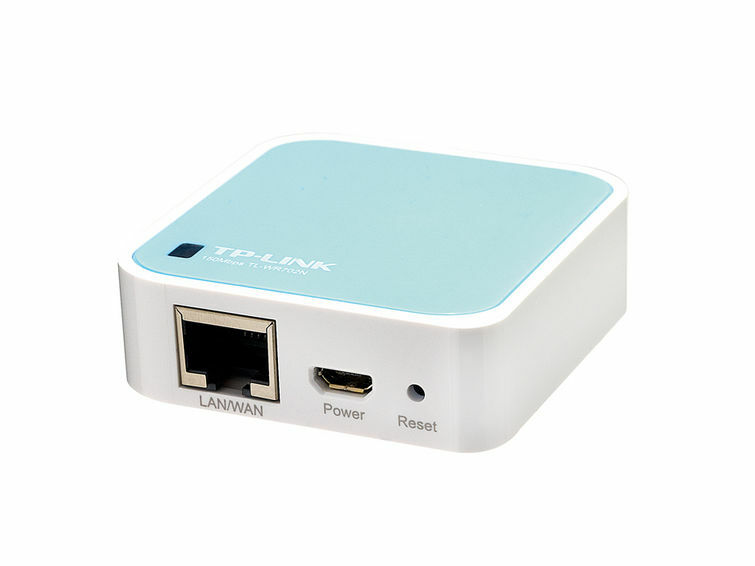 Today though we get out hands on out first TP-Link branded device in the form of the new TL-WR702N Wireless Nano Router. Saying the TP-Link 150 Mbps Wireless N Nano Router is compact is a bit of an understatement. This is tiny! It measures 57mm x 57mm x 18mm, which means its smaller than your credit card and slightly thinner than the average box of mints. 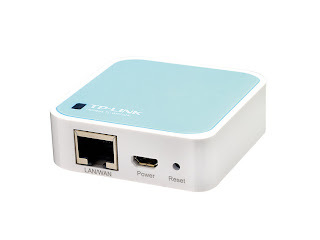 This makes it the perfect traveling companion for those who need to share a single WAN connection with two or more devices over a small distance, and for setting up wireless internet access where there's only a wired connection. When using the WR702N as a router you have plug and play usability making setup fairly straight forward. The web interface is excellent, highly informative and well organized making it esy to change various settings. You can either manually change the WR702N’s operating mode or you can use a wizard which will walk you through all the settings. Either way, all that’s required to change your access point into a router is a few clicks. There's only one RJ45 socket which is used as a LAN or WAN port depending on the WR702N’s working mode. If you are setting it up as a wireless router you connect the cable from the modem to the RJ45 socket or if you want to use it as a wireless client you can connect a laptop or PC via the socket and access an existing wireless network.I'd like to have had a second RJ45 socket just for wired needs but that would also mean increasing the size a tad. I first tried unsuccessfully to setup our TL-WR702N in client mode. The manual didn't give clear instructions for setup so I ran in to a few issues with my default settings. At first I couldn't gain access to the web interface which is supposed to be http://192.168.0.254/. After setting up a static IP address I was able to get everything up and running. The downside I then had to change all my settings back to get it connected to my router. Being a nano sized router you shouldn't expect top notch performance, at least not in range testing. I saw great wireless connectivity in the main office area, which would be about the size of a hotel room. Anything further than that and you quickly see a big drop off. Speeds seemed fairly consistent. As long as I had connectivity I had no problems streaming music or videos. Being such a small device it was nice to see it perform as well as it did. The TP-Link TL-WR702N retails for about $30 at several major retailers. Right now Newegg has them on-sale for $22.99. I've seen a few different color options on Amazon those being green, pink and blue. For the business user or consummate traveler the TP-Link TL-WR702N would be a nice addition to your bag of laptop accessories. It would even be great for those college goers looking to add wireless connectivity to their dorm rooms. The small size means you can pack it in just about any bag, or for that matter a shirt pocket. For the home user however, you probably shouldn't be expecting it to replace your current router. The 150Mbps limit on the wirless N side means you might see some slow downs with multiple users and a lack of wired ports means you'll be limited in file transfer speeds (no gigabit networking). I'd also think that pushing the device with several user connections might create heating issues. I didn't notice any problems in testing but I wasn't pushing it to it's limits. Overall I'd have to say I was pretty impressed. I've tested several routers and access points from Linksys and Netgear and the TL-WR702N performed very well in comparison. It's a great router, however it should be noted that it will **not** run OpenWRT (http://wiki.openwrt.org/toh/tp-link/tl-wr702n) due to the lack of RAM. Outside of that party on! For the geek side of life that should almost be a given. Even a lot of the full size, full featured routers can't run OpenWRT. It'd be nice if you could tweak the firmware but on something this size you can't expect much. Hi I have just bought this nano 702N. After searching through a lot you seemed to make very accurate problems, seems to have solution. Basically when I followed the repeater set up instructions, after typing IP address in the local area connection, I tried to access the web management page (green tab themes) by typing the 192.168.0.254 in the internet explorer. But the webpage says can not find this page!! Now can not go any further. I can not find much solution any where else. You mentioned about changing static IP address(I dont know what its is an how to, can you help to solve the issue so that I can use this as a repeater(the purpose of buying this nano). Here are all the steps needed How to Setup TL-WR700N/TL-WR702N as a Repeater.